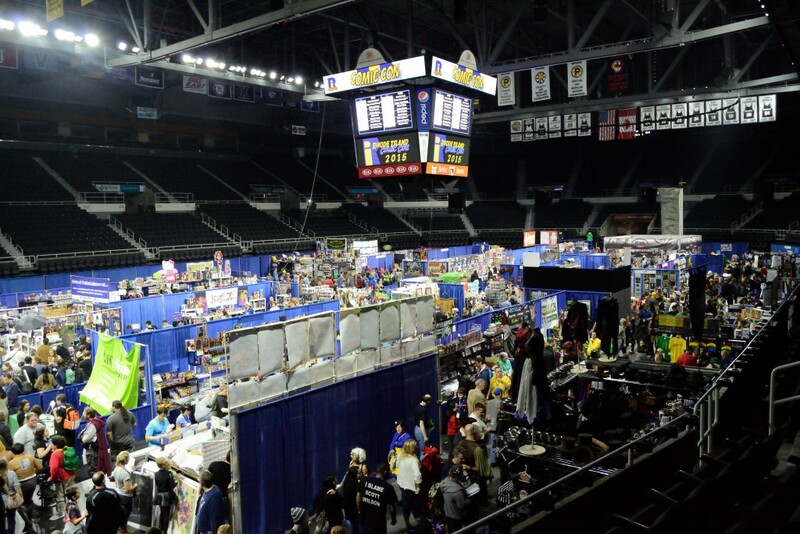 Rhode Island Comic Con is a relatively new event, having only been established in 2012 and providing a convention for the often ignored Providence area and providing Ocean State pop culture fanatics a chance to see their favorite celebrities without driving to PAX East or ConnectiCon. However, it has had a share of significant growing pains, most notably at last year’s convention. 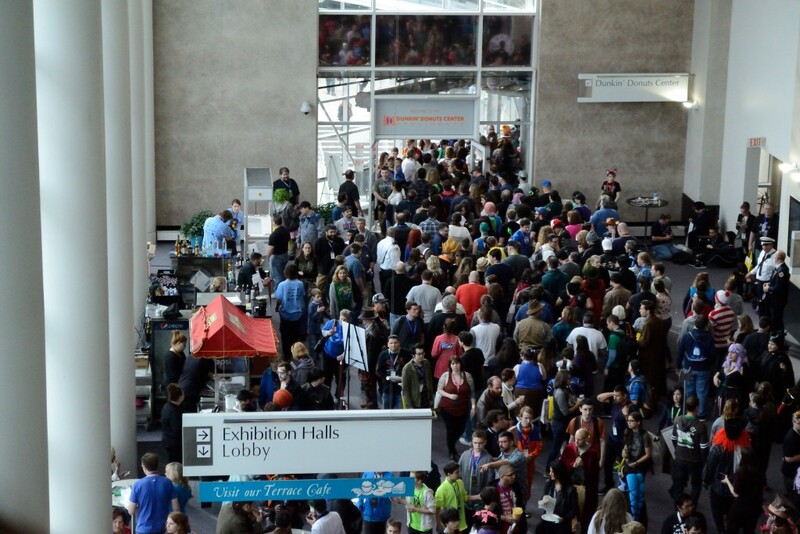 The 2014 edition was plagued by overcrowding that overwhelmed the Rhode Island Convention Center; At one point that weekend, the fire marshall disallowed anyone else from entering the building. Fans complained that the event was significantly oversold and that the organizers did not anticipate the demand for the show. Providence Journal managing editor Alan Rosenberg, who attended the show, wrote a scathing editorial about the 2014 edition that summed up many fans’ feelings about the event. For 2015, the organizers promised a better experience and expanded the show to encompass both the Convention Center and the adjacent Dunkin’ Donuts Center arena. My experience with the show this year got off on the wrong foot right away. The wording of the press pass application – which included an agreement that press not make “insulting or disrespectful comments” or give “a bad image of the show.” – angered the Rhode Island Press Association. The Con was quick to revise that wording, but it piqued my interest in the event. I wanted to see for myself how the show was run this year compared to last year, and if it was run as promised, I thought it would be a neat event to cover. I was joined this year at the Rhode Island Comic Con by my photographer and friend Megan Phelps, and she took incredible photos of Saturday’s show which I’ve included below as we go (I went alone on Sunday). I’ll get this out of the way first: Despite a handful of hiccups, I was genuinely impressed by this year’s show. I did not attend last year’s show, but I had heard from friends and acquaintances that had attended both that this year was a significant improvement, and credit should absolutely go to organizers Altered Reality in that regard. There was definitely a massive crowd on Saturday; After all, the show sold out. Meg and I took separate busses up, but we both saw a line that stretched from the Convention Center entrance through West Exchange Street to Dean Street. If you don’t know Providence well, let me just tell you that’s an impressively long line. Subsequently, I heard on Facebook that some of those who had purchased tickets that entailed them use of the VIP Entrance had issues with their priority entrance to the event. As for us, we were told that our press door would be marked. It was not. However, that was the only bad tick in the box for our personal experience. On the whole, we were personally treated well by security and staff. There was a lot of people here, make no mistake. There were throngs of people but it wasn’t impossible to get around, and being spread into two buildings significantly helped navigation. However, the photo above illustrates the one weak point that Megan and I noticed: All the foot traffic between the Dunk and the Convention Center was through a single walkway. This would be fine for a smaller event or concert, but here it caused significant backup in both directions and made it difficult to get back and forth between the buildings. I’m not sure if this can be helped because of the building design – and thus beyond the Con’s control – but there should be a second passage between the two, particularly if Rhode Island Comic Con continues to be such a flagship event for the buildings. If this year is any indicator, I think RICC has learned from last year’s mistakes. Despite the weak point of the connection between the two, having the two large buildings worked very well for this year. Crowding was to be expected – it is a show with nice things in a state that doesn’t normally get shows with nice things. Many of the children who attended seemed to be thrilled and not overwhelmed by the throng of people. Despite the mass of humanity, it never seemed suffocating. On the next page, check out our thoughts on the celebrities and the merchandise tables!